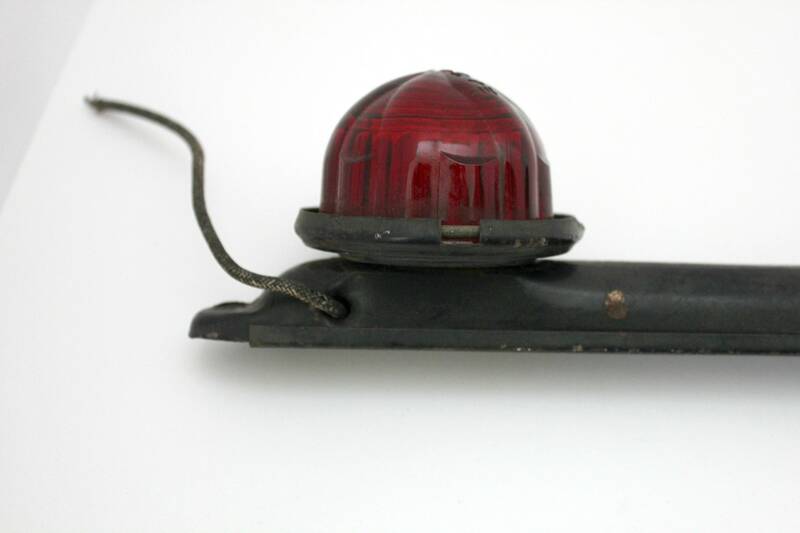 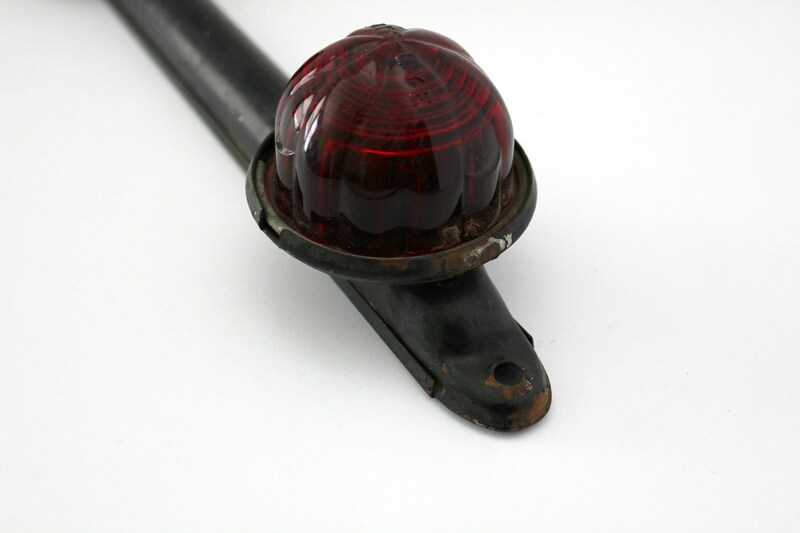 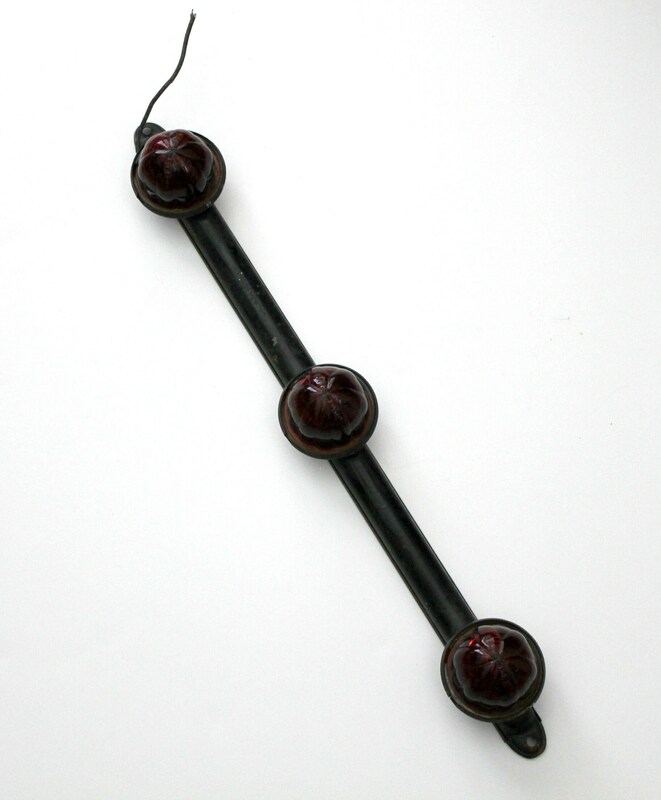 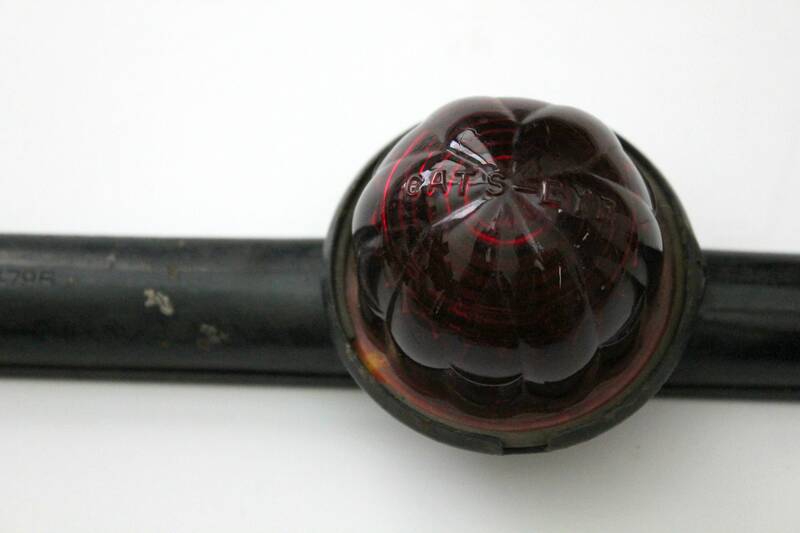 A 1930s vintage Cat's Eye 4795 car reflector bar. 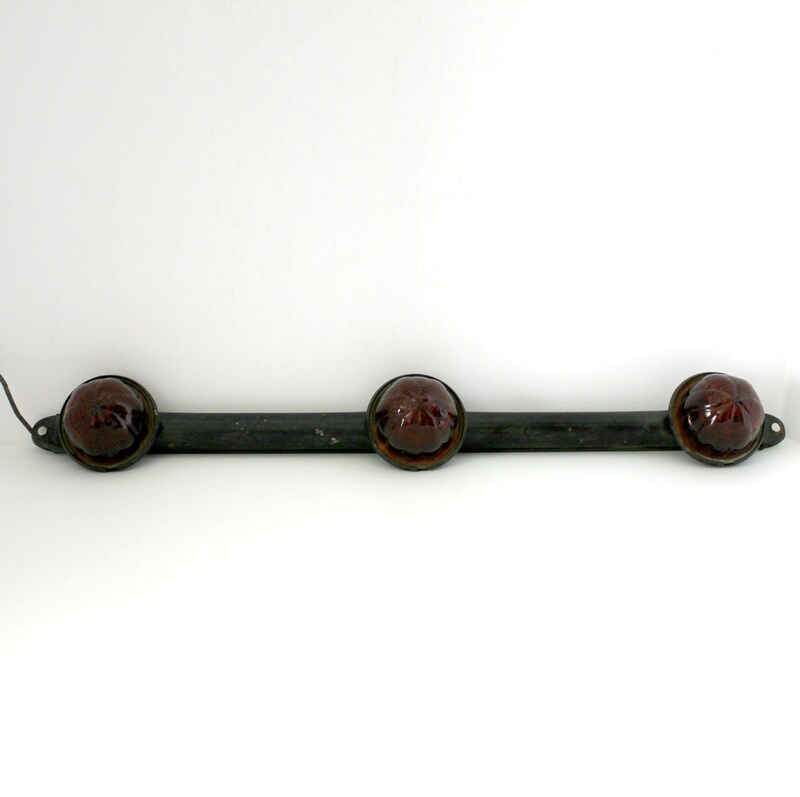 Measures 21.25" long with the base of the lights measuring about 2.75" in diameter. 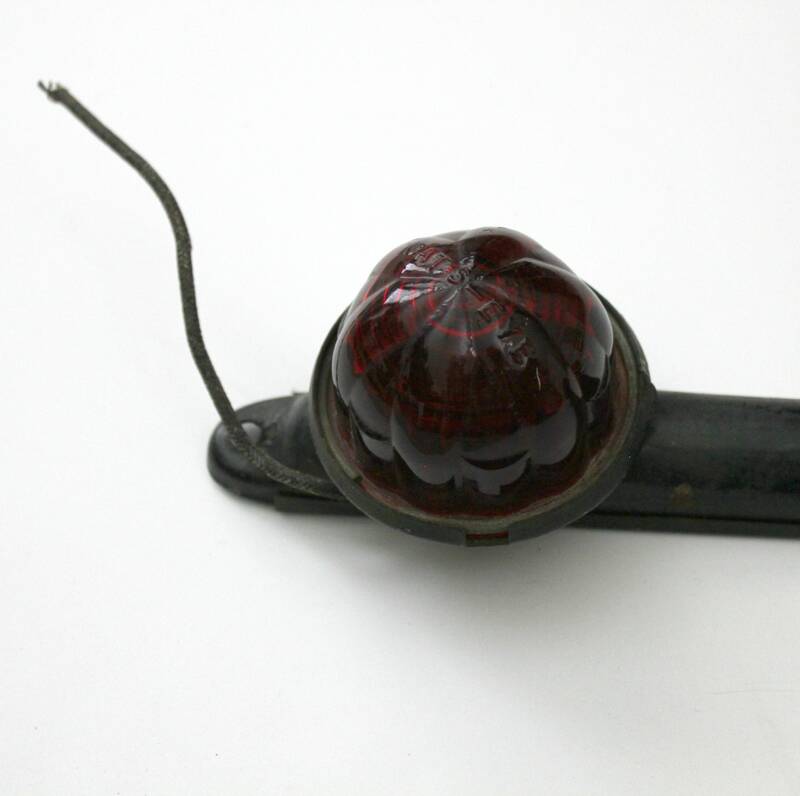 The red glass marked Cat's Eye is original. 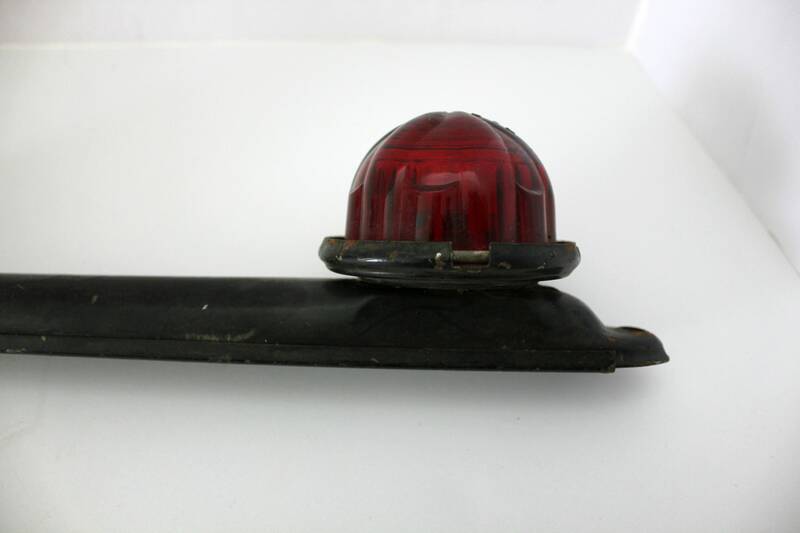 The metal bar is marked Cat's Eye 4795. 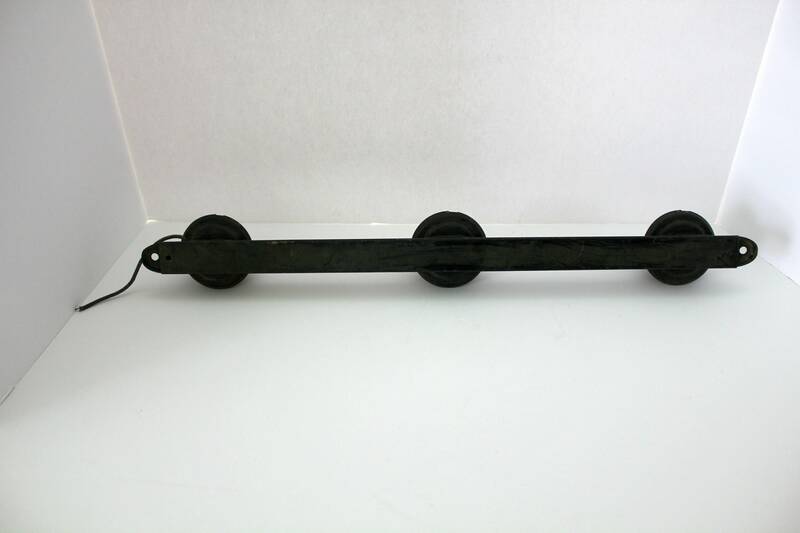 The bar has some finish wear, a little rust on one end, and needs a thorough cleaning, but otherwise looks to be in good shape and ready for restoration for your project car.